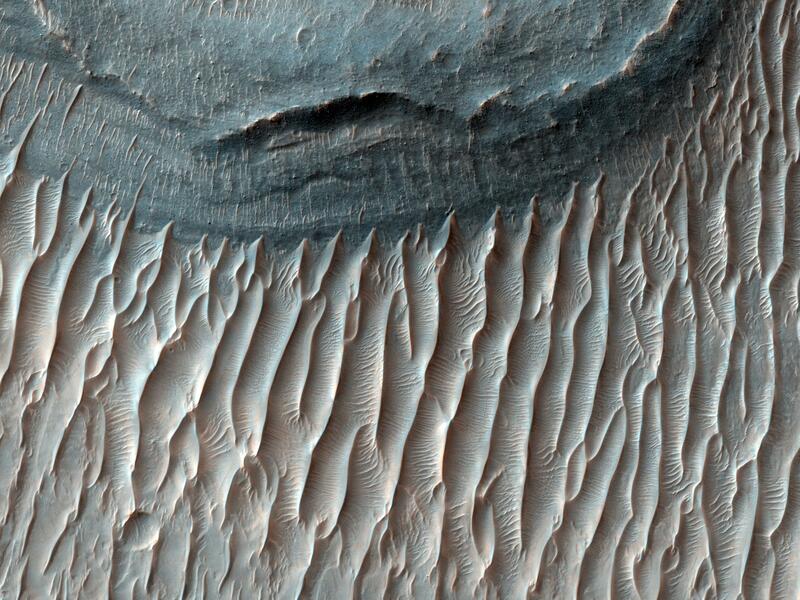 NASA says: "This image of Ius Chasma shows several landslide deposits and groups of sand dunes." Landslide deposits? Groups of sanddunes? 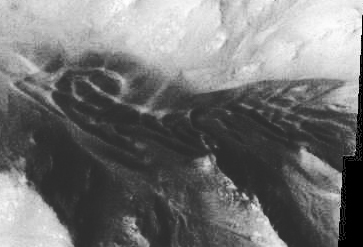 Below is a closeup of the dunes surrounding the central crater. 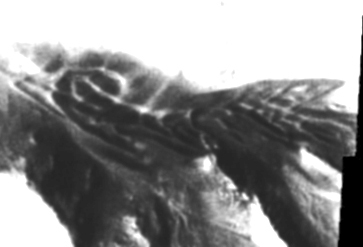 I have found no other images of the geometric anomaly above other than that shown. 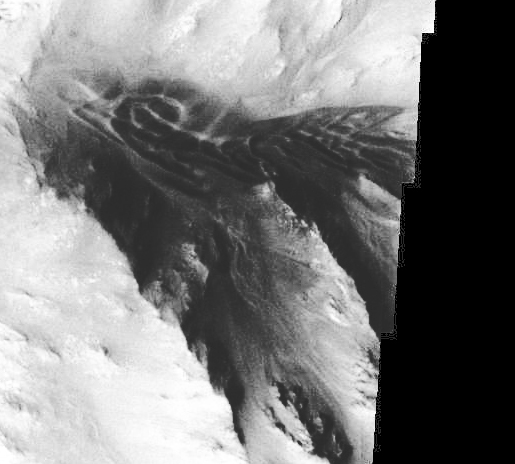 Although a neat image, the dunes surrounding the central crater hardly show the profound geometry exhibited in the Mountain Ruins.